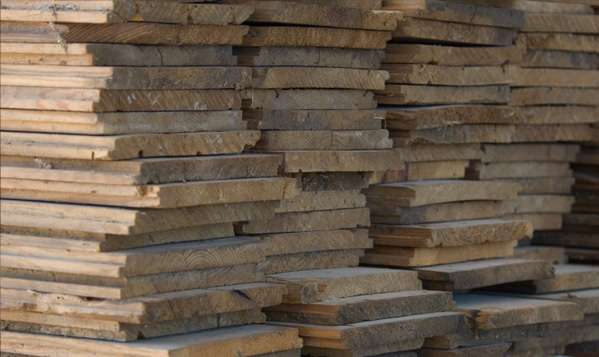 Before saws were created, large timbers were painstakingly cut by hand. 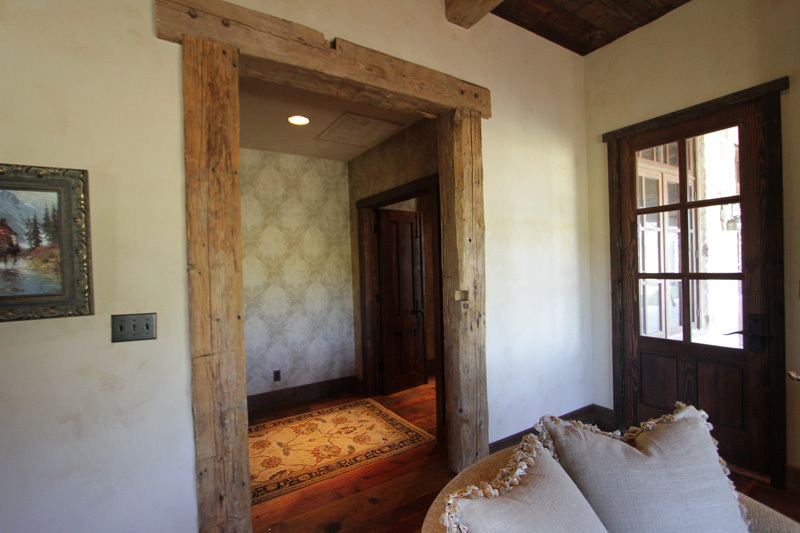 Those antique hand-hewn wood beams reveal a picturesque pattern of axe marks. The cut marks create an aesthetic appeal that is sought after today. They speak of a time gone by when craftsman labor and pride was evident in everyday construction. 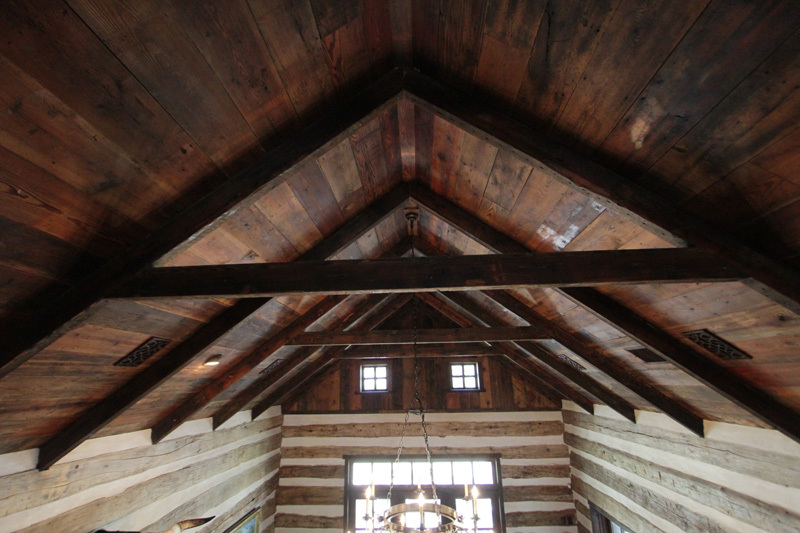 Intensive labor was required to create the original hand-hewn beams. A round log was squared using only hand-held tools. These long, square beams were then sawn to different lengths. While water-powered saw mills did exist during colonial life, not all frontier settlers lived near the mills. Therefore, pioneers had to create their own building materials. 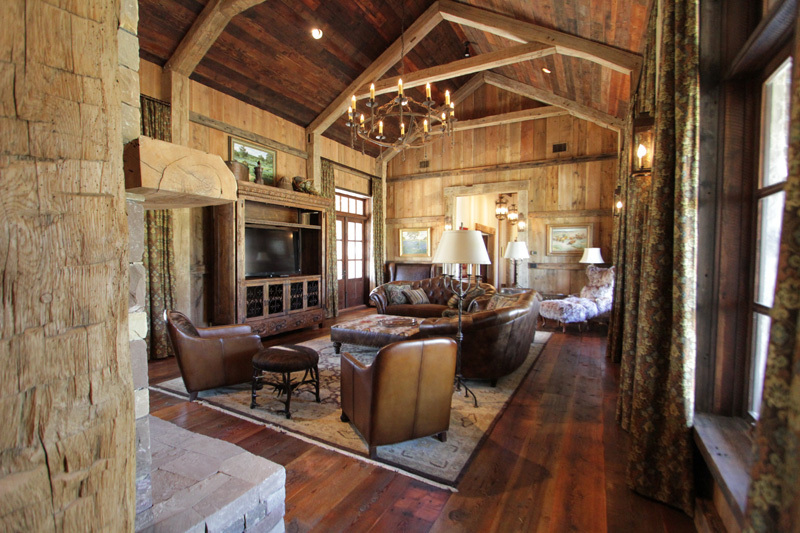 Antique barn beams, whether hand hewn or rough sawn, were originally harvested from old growth forests. Each reclaimed beam bears the signature markings of primitive squaring techniques. Evident are broad axe and small tool impressions or rough circular saw markings. These beams often contain the craftsman's original mortise holes and pegs, along with nail holes and other various surface imperfections that contribute to the unique vintage appearance of the antique wood. These perfectly aged and seasoned hardwood and softwood beams have been carefully reclaimed from historic structures, and so have been naturally protected for well over one hundred years. Their rustic surfaces are enhanced with the proper finish. 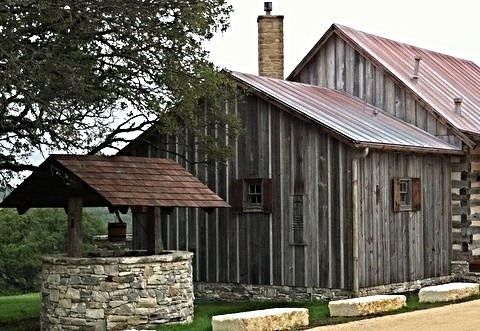 Historic barns and rustic structures have been naturally aged by the elements for several decades and their unique, weathered appearance is unmatched for beauty and character. The signature coloring and timeless character of historic barn siding is created from constant exposure to rain, wind and sun. Varying surface imperfections ensure that no two vintage planks look alike. Typical colors are brown, weathered gray, and faded red. No two antique barns were made alike, and thus their component woods vary in color, texture and aging. Weathering through exposure to the elements has created its own unique effect on these boards. Gray is an indication of wood from an older barn, as these older barns were usually not painted. The color red derives from a paint created from a blend of lime, milk, Linseed oil, and rust, which was added as an anti-fungal ingredient. Brown colors often come from interior boards used in structures. Ceiling Decking is a type of construction that was used in barns, sheds, and outbuildings. Its overlapping nature creates a relatively tight seal that also allows for the movement of the expanding and contracting of wood through the seasons. “Shiplap” is a technique that was used in shipbuilding. It also refers to a type of siding. The formation of tight joints between the boards excludes water and directs water to the outside during rainfalls. This type of siding is known for its strength and is used in buildings requiring low maintenance and it is also used in cold and rough climates. Shiplap has a minimum of material waste. The boards are shaped so as to have rabbets or groves on opposing sides that fit together to make a tight seal. Each board partially overlaps the board next to it, giving a shadow line effect. This allows for protection against the climate, not only the water, rain, and melting snow, but also allows for the shifting expansion and contraction of the boards in changing seasons. Our vintage shiplap is carefully reclaimed from weathered antique barns and historic homes all across North America. The distressed textures of shiplap flooring reflect the many uses of the timber, which was used for everything from barn floors to fencing. Log Veneers are ideal for homes whose owners want the combination of modern technology with classic charm. Each log is distinctive, with its own unique texture and pattern that sets it apart from all others. Beam veneers can be custom milled for window and door headers as well as false timber frames to be installed against sheetrock, rock and barnwood walls. Our timber mantles are custom cut and designed to your specifications. Whether you are building a new home or remodeling an existing home, custom mantles can be a signature piece in your design. Used as a fireplace or or as a decorative shelf, hand hewn fireplace mantels provide a look of character and vintage charm.